Lincoln Recent News: Lincoln Swimmers to Compete in Asian Swimming Championships! Lincoln Swimmers to Compete in Asian Swimming Championships! Lincoln Snow Leopards Take On Japan! The triple threat of Ayushma Tuladhar, Tisa Shakya, and Akshara Singh will be participating in the 10th Asian Swimming Championships held in Tokyo, Japan. The competition will be held on the 17th to 22nd of November. Ayushma Tuladhar will be competing in the 50m breaststroke, 50m butterfly, and 50m freestyle. 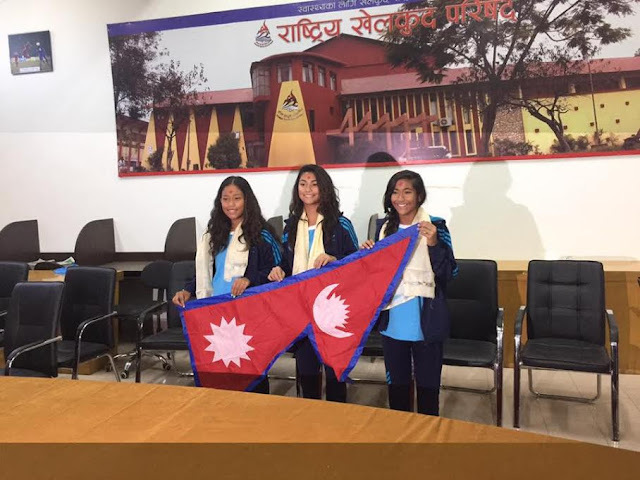 Tisa Shakya will be taking part in the 50m butterfly, 50m freestyle as well as the 100m freestyle, while Akshara Singh will be competing in the 50m and 100m breaststroke events. The swimmers will be traveling on November 15 to represent their country. Congratulations on your amazing accomplishments and good luck from the Lincoln community!